What is a Party Wall - Type A? A Type A Party Wall forms part of a building and stands on lands of different owners, i.e the wall stands astride the boundary. 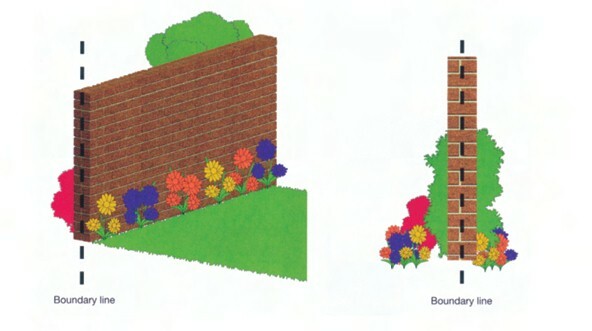 Examples include walls separating terraced or semi-detached houses or a wall that forms the boundary between two gardens, which is referred to as a 'party fence wall'. What is a Party Wall - Type B? 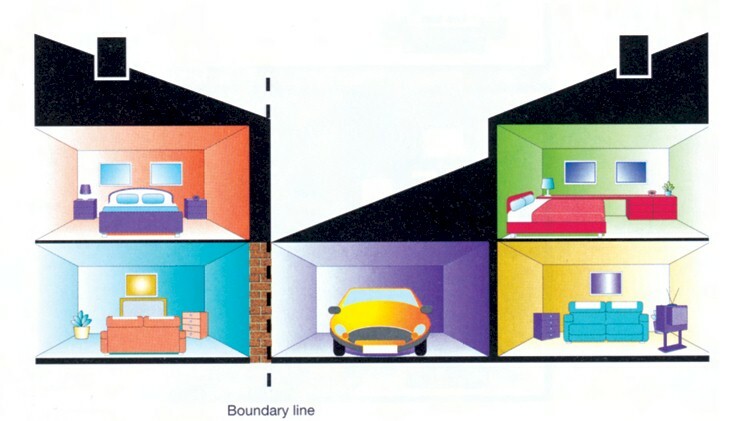 A Type B Party Wall stands wholly on one owner's land, but is used by two (or more) owners to separate their buildings. An examples is where a neighbour has a structure, such as a garage, that butts up against a wall that is owned by the other neighbour. 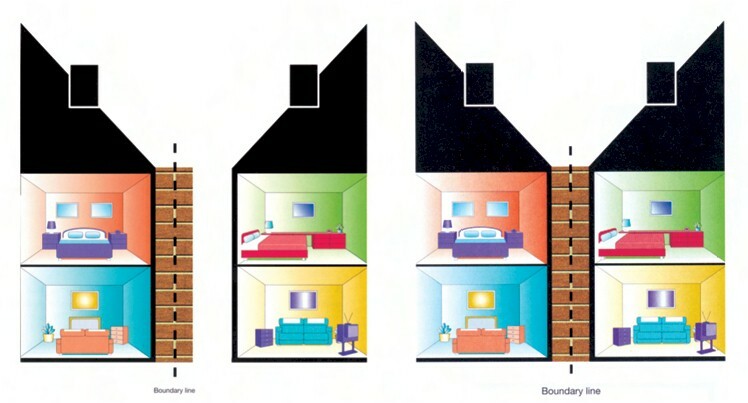 Only the part of the wall that does the separating is a Party Wall with the wall above or to the side not being a Party wall. A "party fence wall" is not part of a building. It stands astride the boundary line between lands of different owners and is used to separate those lands. This would include a garden wall but, despite the name, excludes wooden fences, or fences with concrete posts.